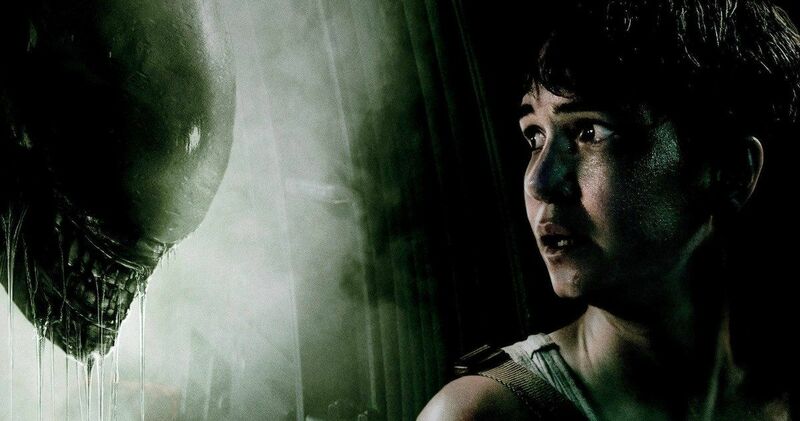 Even though Fox isn’t pulling the trigger, Katherine Waterston is still down to make Alien: Awakening, the would-be sequel to 2017’s Alien: Covenant. The Alien franchise remains something that sci-fi and horror fans want to see succeed, but the time just doesn’t seem to be right to get another movie installment going. There are a range of factors (which we’ll get into shortly) but the point is, one of the franchise’s current stars is still interested in returning for at least one more go around with the Xenomorphs. Katherine Waterston was introduced in Covenant as Daniels who, spoilers, winds up being taken hostage by Michael Fassbender’s David, along with the rest of the ship’s inhabitants, likely to be used as hosts to breed some Xenomorphs. Given the way the last movie ended, coupled with director Ridley Scott’s enthusiasm to finish out his Alien prequel trilogy, there are a few good reasons to make Alien: Awakening, the proposed title for the third movie. Waterston is game to come back, even though nothing is happening at the moment. Here’s what she had to say about it in a recent interview. The biggest problem facing the movie is the fact that Alien: Covenant dramatically underperformed at the box office, grossing just $240 million worldwide, which is significantly less than Prometheus managed to make. As we also reported in November, Alien: Awakening doesn’t even have a script currently. Plus, Ridley Scott has occupied himself with other projects, such as Gladiator 2, which is actually picking up some steam. Not to mention that the Disney acquisition of Fox is set to close in the next few months, meaning that Disney will be in control of the franchise very soon. And we don’t see the Mouse House making Xenomorphs a priority. A mobile game titled Alien: Blackout, centered on Ellen Ripley’s daughter Amanda Ripley, was recently announced for mobile devices. Fox has since made it clear that the game is not being released in conjunction with any movie projects, which pretty much closes the door on things for the time being. But if, for some crazy reason things do come together, at least one key cast member is happy to come back to finish the story up. This news was first reported by The Playlist.